With over 1.8 billion monthly active users, YouTube is one of the most popular videos sharing platforms. If you have a YouTube channel and looking to get more views on your YouTube Videos, then this is the right place for you. Uploading videos on YouTube is not enough to make your channel successful. You want people to watch your videos, which will enable increase your viewership and build trust. However, getting views on your YouTube videos is not easy. A lot of channels on YouTube get closed after a few months of launching. The reason is simple. They are unable to get views on their videos. So, if you have a YouTube channel and want to know how to get views on YouTube, then go through the tips below on how to increase views on your YouTube videos. This is the first thing that you can do to get more views on your videos especially when you want to get thousands of views within a short amount of time. You can buy YouTube views from here if you don’t know any website. Just check the package below and start getting views without doing anything else. Before uploading your video, rename it and add keywords relevant to the video. For example, if you are sharing SEO tricks, then add “SEO tricks” in the name of your video file. This will let YouTube understand what type of video you have shared and when anyone will search SEO tricks, your video will also be shown on the results list. So, do this before uploading your video. When the upload is complete, there you will find the option to create a title for your video. This is what people will see when your video appears on YouTube. Create an attractive title that includes your main keyword in it. Make sure, you don’t create a long title for your video. Just keep it short and catchy. After adding a title, the next option you will find is to add a description to your video. You need to provide information about the content of the video in the description. Some YouTube channels are negligent here. They don’t write a meaningful description and just add the keywords in it. This is not a good idea. 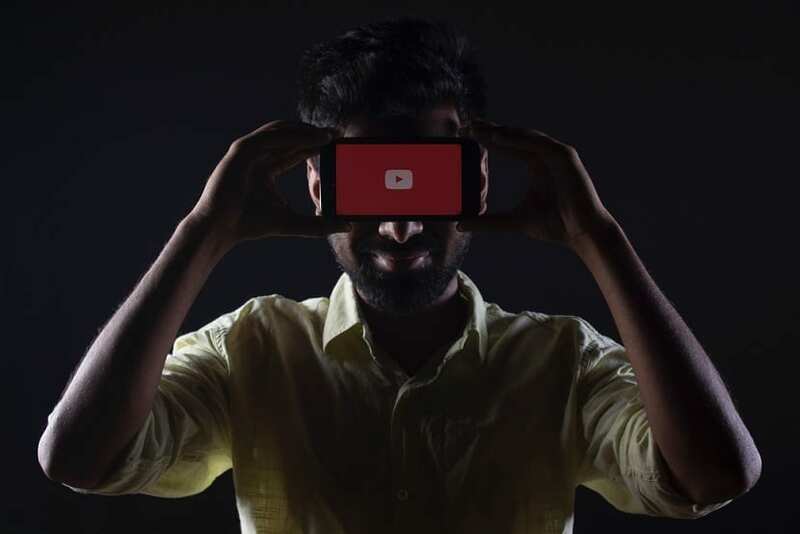 Maybe users are not interested to read all your description but YouTube is as it help YouTube to understand the content of your video better and as a result, you will be listed higher in search results and there will be a boost in your YouTube views. So, don’t go with a short description. Write a long description and add your main keyword and related keywords in it. After adding the description, you need to add tags for your videos. Tags are also very important if you want to get views on your videos as all users don’t search with a single search term, they use different terms for the same topic. So, when you have added the main keyword in your title and description, you need to add the keywords that are related to your main keyword in the tags option. There are many tools that can help you to get keywords that are related to your main keyword. Just use any on them and find the related keywords and add them to your video tags. A good thumbnail can also get you many views as in the search results. 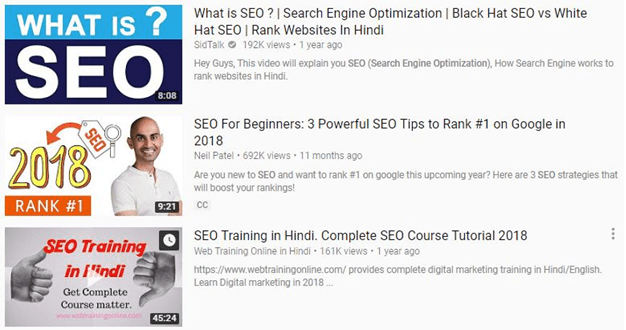 The thumbnail is the small image that appears alongside your title and brief description in the YouTube search result page. You can only make users click to your video when you have an attractive thumbnail. When creating your thumbnail use fonts that are easy to read as well as use the images that get attention. Don’t ever try to use false images that have nothing to do with your videos as it will ruin the reputation of your channel. Many channels use the thumbnails that are attractive but when users click on it to watch the video, nothing is found there. So, in future, they don’t watch the videos of that channel. So, don’t try to fool your audience. You can only make videos in one language so you can only target the users of a particular country who can understand your language. But when you are looking to get more views, you need to target more regions and that you can do only by using the transcript. If your video is in English and you want subtitles for that so that users can easily understand the difficult terms that you used in your video, then YouTube can help you in that as YouTube can automatically create subtitles for your video in English. But the subtitles created automatically by YouTube may have many mistakes so try to edit them before uploading. Moreover, if you are targeting the users of different regions who cannot understand English or the language that you used in your video, you can create a transcript file in their language and then you can upload it to your YouTube video. When done, with a single click on the bottom right corner, users can view the subtitles and can understand your video. So, targeting other regions can also get you more views. Have you ever seen a tab on the top right corner of the video that you are watching? Probably yes as all famous channels do this to take viewers from one video to another. This is really one of the best ways to get more views on your videos. So, you must try this option especially when you are trying to get more views on a particular video. Just add the link of the video that has fewer views or any other video using cards option and save your video. You can also set the time of the card like when it will appear and disappear. This will help you especially when you found that one of your videos are getting more views but users are not watching that to the end. Just note the time when the user leaves that video and add the card just before that average time duration. So, when users will be thinking to exit your video, they will see a suggestion to other videos and you can take them to the next video. YouTube lets you feature a video on your channel that appears at the tops of your channel. Always feature your latest video as whenever anyone will come to your channel, you can get views on that video easily. Moreover, users can find that you upload videos regularly and they will be happy to subscribe to your channel to get updates about new videos. This is also a great feature of YouTube that can help you get many views. But it will only work when viewers watch your videos to the end. So, when your videos are good enough that it is watched to the end, you can add links to your other videos there. When you use this option, chances are very high that viewers will go through the videos that you linked at the end. So, do use this option and add the links to the videos that are the most popular ones or the ones that have fewer views than other videos. This is one of the best things that you need to do when you really want to get more views. There is a great chance that there are already many videos on YouTube like the one you are trying to make. So, do check all the videos that are related to yours and note what they have covered and what’s not. So, when you start making, cover more points than your competitors and use the same keywords and tags. Doing this will not only rank you higher but also will list you in the Suggested videos section of YouTube as YouTube mainly list those videos in that section that are related to each other. When the autoplay is on, your video will be played automatically after your competitor’s and you can get views from there too. Moreover, when users find that you have covered more things, they will prefer your videos next time they search for anything. As we have discussed above you can find many videos that are similar to your videos. Just search for them and watch them. In the comment section, provide a valuable feedback and also try to answer the question that others asked in the comments of that video. In addition, while commenting, put the links to your videos where you think it will make sense. So, when the viewers of that channel notice that you know many things about such topics, they will like to watch your videos too. Make sure you don’t post links in all comments as it will not look genuine. When you have uploaded many videos on different topics, it is good to create playlists for the videos that are similar to each other. The reason is simple. Sometimes there could be a particular video that a viewer is searching for in your channel, but without a playlist, they cannot find that video easily and you can lose many views as no one want to waste the time on checking all videos. On the other hand, if you created playlists for all your videos, users can click on the playlists option and can easily find the video they are looking for. Just after uploading a video, do share it on all popular social networks as it can give you many views instantly. Make sure you use attractive captions for your videos as otherwise, no one will be interested in watching it on social media. 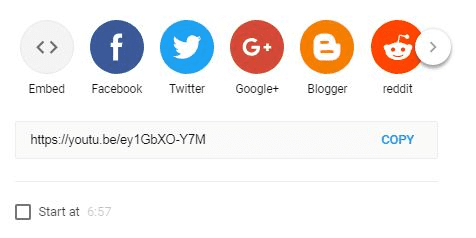 You can copy the link of your video and can share on the social networks you want or you can share your video by clicking the share option at the bottom of your video on YouTube. Moreover, when you have engaging followers on social networks, ask them to like and share your videos. This will surely increase views on your videos. There will be many bloggers who write blogs on the topics that your videos cover. Bloggers mostly use images in their blogs so you have a chance to get views from blogs if you offer them your video, they will be happy to embed it on their blog. So, just reach out bloggers that have content similar to yours and share the link of your video with them and ask them to check and embed it on their blog. If they find your video interesting enough, they will surely embed it. When it’s done, you will be getting some views from there too. It is not an easy task to find bloggers in your niche and convince them to embed your video, but if you are really serious about getting views, this can be really very helpful. Moreover, if you have created awesome videos, no one will deny your request to embed your video. Influencers are people with a huge list of engaging followers. Many businesses have already used influencer marketing to grow their brand. So, influencers can also help you to get you more views. Just reach out to the influencers and ask them to share your video. It is not a bad idea to pay them for doing so as you will get so many views from there. But find influencers that have followers that you are targeting as it can get you subscribers too. When they agree to share your video, you will start getting views on your videos. Also, if the influencers ask their followers to share your video, they will do this happily. So, you can really get many views by doing so. There are a lot of forum sites on different topics. These forum sites can also get you many views as these are mainly used by the people who are looking to get the answer to their problems. So, find forums that are related to your videos and join them. When joined, check what users want to know and help them in that. In your answers, post the link to your YouTube video smartly. Make sure to write long answers especially when you are posting a link to your video as it will not look like spam. Moreover, don’t post links in all your comments as you will get banned. There are many forum sites which don’t allow posting links easily. So, have some patience while doing so. Emails can also get you many views. If you have a list of email subscribers, just create a campaign and send your video to your subscribers. Create an interesting and eye-catching Subject and write few lines in the description and add the link to your video in the Email. When everything is done nicely, send it to your subscribers. They will surely watch it. If you don’t have emails data, you can get emails easily. Just run a paid campaign or if you don’t want that simply buy email subscribers. Buying email subscribers may not be that beneficial as you might buy the data of users who have no interest in your videos, so try to run a paid campaign and get the desired subscribers. If you have a website, do use pop-ups for an email subscription. Offer them ebooks or any other deal like a coupon code when they subscribe to your email list. This will encourage them to subscribe. When you have collected emails, start sending your videos in emails. Again, do this smartly. If you have more subscribers, you will get many views without doing anything else. To get subscribers, ask your viewers to subscribe to your channel so that they can watch your new videos. Most of the channels use animations that explain how to subscribe. So, just make an animation and upload it at the start of your video. This will surely get you more subscribers and as a result, you will start getting more views on your new and old videos. Also, do ask them to enable the notifications so that they can get notifications of new videos when you upload them. You need to create only one animation and just put it in all your videos. Videos that are liked or commented on a lot tends to rank higher than other videos that don’t have such engagements. So, you need to get likes or comments on your videos, For that, just ask your viewers that if they found your video interesting and helpful, to appreciate your work by giving you a like. They will surely give you like. To get comments, just put a question or ask them to comment a question if they have any related to that video. When there is any doubt in viewers mind after watching your video they will surely comment that. So, when you receive comments on your videos, do reply them as it will let other users know that you care for your subscribers or viewers. Moreover, when your video is related to some tips, ask your users to comment the tip that they found most easy and useful. This way you can get so many engagement and YouTube will rank it high and you can get more views. Also, do ask your viewers to share your video as it can also help you to get views. As we have mentioned above, if you have more subscribers, you can get many views. To get subscribers, you need to upload new videos regularly as people will only subscribe to your YouTube channel if they know they will be regularly getting new videos from you. If you haven’t uploaded for a long time, no one will subscribe your YouTube channel or if they subscribed after watching your videos, will soon unsubscribe if they don’t get new videos from you. So upload videos regularly. If you upload 1 video every week or two, you can get many subscribers as everyone wants to watch new content. There will be so many channels who share content similar to yours and it is a good idea to increase the views for both channels if they reciprocate the links. Means, you can reach out to the channels that have similar videos like yours and offer them a link in the description of any of your video. Let them know that they should also offer one link to your video too from the description of their video. This is great for both the channels as they can get more views easily. So, try this technique to get more views. You can only succeed on YouTube if you provide the solution to the problem of users or if you can entertain them. Applying all the tips we have mentioned you will surely get views on your videos but it might not be enough. If you are not providing content that is helpful, they will not come back again to your YouTube channel. So, always upload quality content. This will not only give you more views and engagements but will also give you more subscribers. Anyone who finds your video helpful, will surely want to watch more YouTube videos from you. So, don’t compromise with the quality of the content that you provide in your videos. So, these are the best tips that can help you get more views. Apply them all and start getting new subscribers and views. All methods we mentioned here will not give you views instantly. You have to be patient or if you want more views instantly, just buy the YouTube views from the link we mentioned in this post. Do remember the last tip we shared as all will work only if you have quality content.